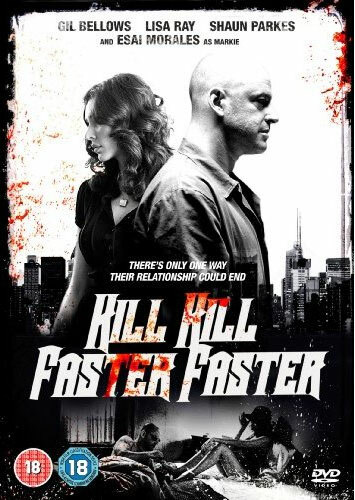 Inspired by Joel Rose's acclaimed novel of the same name, KILL KILL FASTER FASTER is a modern Film Noir thriller starring Gil Bellows (ALLY MCBEAL, THE SHAWSHANK REDEMPTION) as an ex-con confronting the demons that put him away. Joey One-Way (Bellows) emerges from prison after serving time for killing his wife. Whilst inside he put his tragic story into a play, which now he now sets about adapting for the big screen. Forced to face the violent crime over and over, Joey turns to the film producer's ex-con wife, Fleur (Lisa Ray, THE WORLD UNSEEN) for comfort.